In its 50th year, the Asian Institute of Management (AIM) is proving to remain just as relevant in a highly competitive and rapidly shifting landscape. An Asian pioneer in management education, AIM is raising the bar anew in empowering responsible entrepreneurs, as well as business and development leaders—in a way, future-proofing the prestigious institution. 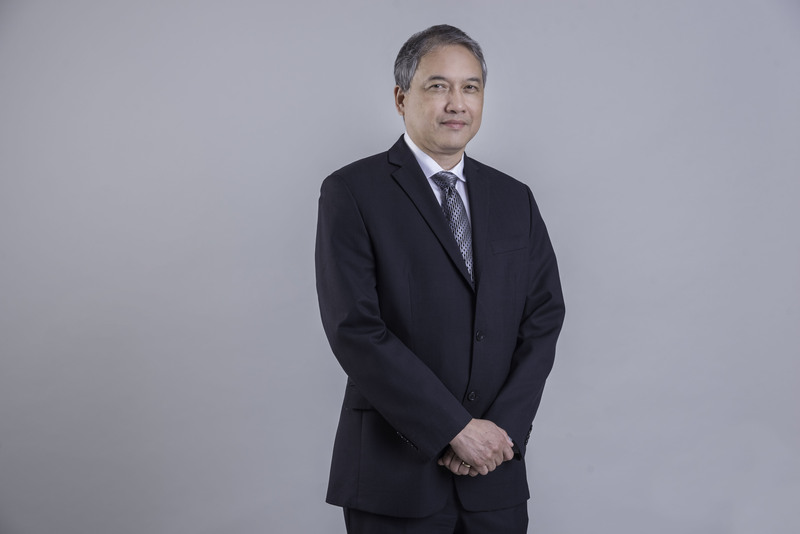 “We can expect a more balanced and responsible management education as our aim is to integrate the concept of sustainability throughout our programs,” said Felipe Calderon, CPA, CMA, PhD, who serves as head of the Washington SyCip Graduate School of Business.“Other faculties have already started to mention the concept of the triple bottom line in their respective courses. But now, we want to implement a more consistent approach across all our degree programs in which the concept of sustainability will be deeply incorporated—it will be staple in all our courses,” Calderon explained. This approach is being implemented alongside the addition of new degree programs that will cater to the specialized needs of the market. Apart from its MBA, Executive MBA and Master in Development Management ( MDM) programs, AIM has recently started to widen its offerings. Its Master in Entreprenuership (ME) program was relaunched in 2016, followed by two new programs: the Master of Science in Innovation and Business (MSIB) in 2017 and the Master of Science in Data Science (MSDS) in 2018. “AIM recognizes a niche for this type of market. Before, the flagship program of AIM was its MBA program. But the market has become more specialized,”Calderon noted. Starting with the September 2018 intake, AIM will be offering a unique opportunity for MBA students to minor in Data Science. Students will be taught how to properly communicate data-driven insights to maximize their impact on business and industry. “As it is, AIM has a very strong Asian focus and so if you want to specialize in Asia, this is where you should be. We also have Asian student tours, and exchange programs wherein they can study in other universities to add an international flavor to their education. We have over 20 partner schools in Asia, Australia, Europe, and the USA such as the Wharton Business School. In fact, AIM students can earn a dual degree from Yale. And currently, we’re working on a second university where our students can also get a dual degree,” Calderon explained. But what further differentiates AIM now among other institutions is its strong thrust for sustainability—which pertains primarily to the so-called triple bottom line, where the social and environmental factors are considered alongside financial gains. “From my end, because I’m responsible for the MBA and Executive MBA, what I have done to again differentiate us from the market is that I’ve started to integrate the sustainability concept into our courses, even in accounting and finance,” he explained. “We define sustainability in terms of the triple bottom line. It’s no longer just about profitability. We try to teach our students that it’s possible to become more responsible managers, that it’s possible to achieve profitability while at the same time being environmentally and socially responsible. Hopefully, we’ll develop a course on sustainable finance by September,” he added. The concept of sustainability is already widely practiced among companies in the Philippines and elsewhere in the world. There is a growing trend among educational institutions to introduce courses that focus specifically on this concept. And, according to Calderon, there seems to be a huge demand from the students themselves. “I think the millennials and today’s market drive the demand for this kind of education. The timing is right and the mindset is right as more companies, investors and financial community have started to give more significant weight on the sustainability of businesses. And this is where AIM is to make its mark anew on its 50th year and beyond,” Calderon concluded.